This page is on a two part interview with Harry Jordan that not only looks into the 1976 Mars Viking 1 Mission, but what happened and what was documented before that mission was launched. There is evidence of an advanced human ancient civilization warning us about nuclear war and other actions that could destroy life on a planet. The interview of Harry A. Jordan by Jonathan Mark was recorded on April 28, 2015. In 1985 Mr. Jordan produced 47 recognition drawings and constructed three clay models over NASA batch processed orthographically corrected prints from the National Space Science Data Center located at Goddard. His copyrighted models in 1985 and numerous recognition drawings were supplied to the Independent Mars Investigation Team at The Peace & Conflicts Study at University of California at Berkeley. The Independent Mars Team was headed by Dr. C. Wes Churchman, Nobel Laurette. 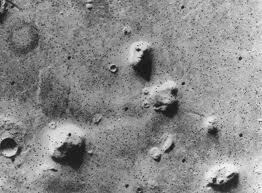 Harry Jordan’s work has been cited by many authors writing on the controversy surrounding the fascinating “Face on Mars,” which was revealed by photographs of the 1976 Mars Viking 1 Mission by NASA. Jordan received his Master of Fine Arts degree from Cranbrook International Academy of Art & Architecture in 1974. While at Cranbrook, Jordan was awarded two scholarships and was recipient of the Cranbrook Museum Fellowship in 1973. Mr. Jordan received his BFA from The Maryland Institute of Baltimore, Maryland where he was also an alternate Yale Sckowalhegan scholar. Other studies abroad by Mr. Jordan include the Tyler School in Fine Arts of Temple University located in Rome, Italy where his excavation drawings were first published. Jordan has worked as a Project Architect for Offutt Design in Omaha, Nebraska, as a Project Engineer for NU-Engineering of Detroit and has been teaching Architectural Design for 35 years at Creighton Prep Jesuit High School in Omaha, Nebraska. Mr. Jordan is the nephew of James N. Jordan Sr. who was one of the founding fathers of NOAA the National Oceanic and Atmospheric Association . Harry A. Jordan was named after his grandfather who was the Chief Navy Engineer for the Department of the Navy at the U. S. Naval Gun Factory during the second world war. Mr. Jordan used to observe his grandfather work when he was designing guns and other Navy models. Mr. Jordan’s grandfather was Harry Dehler whose name appears on models that are displayed at the David Taylor model basin near Annapolis. Harry Dehler designed the guns on the USS North Carolina BB55. Harry Jordan served a six year tour of duty aboard three U. S. Navy ships in Operations Intelligence and was Honorably discharged with commendations in July 1967. Harry A. Jordan is 72 years old, is retired in Nebraska. Finally, 40 years since the NASA Mars Viking 1 Mission, Harry Jordan crossed the Country and met with Bart Jordan in Dover, NH for over a week, Immediately after that Harry Jordan was interviewed by Jonathan Mark in Massachusetts at the Greenfield Community Television studio. The next Flyby News video program will be another interview with Bart Jordan. The proof of his contributions to the Mars Viking 1 mission will be indisputable once the evidence is fully presented and understood. The deeper message from our past is telling us what happened on Mars would happen again, unless we could learn from past mistakes. For more than a dozen FN videos visit http://GCTV.org/videos and look down the playlist to Flyby News. Flyby News film-TV-video productions and website contain copyrighted material the use of which has not always been specifically authorized by the copyright owner. We are making such material available in an effort to advance understanding of environmental, political, human rights, economic, democracy, scientific, and social justice issues. We believe this constitutes a ‘fair use’ of any such copyrighted material as provided for in section 107 of the US Copyright Law. In accordance with Title 17 U.S.C. Section 107, the material on this site is distributed without profit to those who have expressed a prior interest in receiving the included information for research and educational purposes. For more information go to: http://law.cornell.edu/uscode/17/107.shtml If you wish to use copyrighted material from this site for purposes of your own that go beyond ‘fair use’, you must obtain permission from the copyright owner.